Extreme dark and extreme light were what happened simultaneously as Northrop Grumman's Cygnus spacecraft was launched and is on its way to the International Space Station with about 7,400 pounds of cargo after launching at 4:01 a.m. EST Saturday from NASA’s Wallops Flight Facility on Virginia’s Eastern Shore. 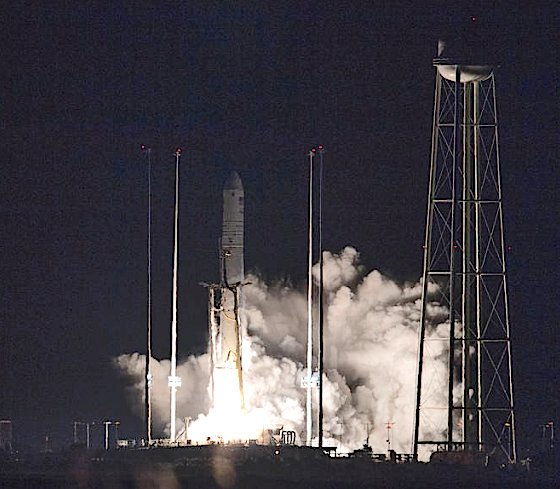 The spacecraft launched on an Antares 230 Rocket from the Virginia Mid-Atlantic Regional Spaceport’s Pad 0A at Wallops on the company’s tenth cargo delivery flight, and is scheduled to arrive at the orbital laboratory Monday, November 19. 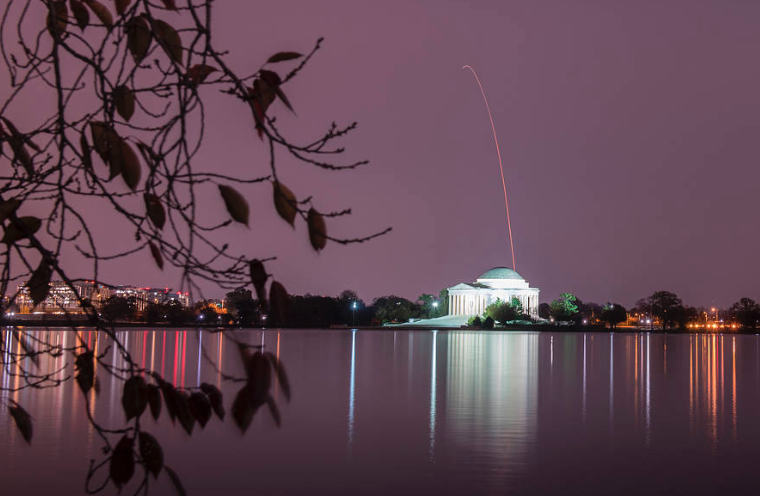 Upon arrival the Expedition 57 astronauts, Serena Auñón-Chancellor of NASA and Alexander Gerst of ESA (European Space Agency), will manipulate the space station’s robotic arm to grapple Cygnus about 5:20 a.m. Installation coverage will then begin at 4 a.m. on NASA Television and the agency’s website. The Refabricator is the first (ever) 3D printer and recycler integrated into one user-friendly machine. Once it’s installed in the space station, it will demonstrate recycling of waste plastic and previously 3D printed parts already on-board into high-quality filament (i.e. 3D printer ‘ink’). This recycled filament will then be fed into the printer to make new tools and parts on-demand in space. This technology could enable closed-loop, sustainable fabrication, repair and recycling on long-duration space missions, and greatly reduce the need to continually launch large supplies of new material and parts for repairs and maintenance. Learn more about Northrop Grumman’s mission. Keep up with the International Space Station, and its research and crews.